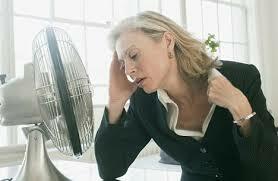 Menopause - What on earth is going on here? 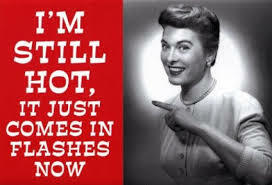 Most women have been prepared for the hot flushes and mood swings which often accompany menopause but there are a whole lot of other changes which occur around this time which you might not be aware of or understand. Menopausal women and those approaching menopause commonly witness weight gain particularly around the abdomen.This is believed to relate to the decline in oestrogen levels occurring at the time of menopause. The exact reason why weight gain ( particularly around the abdomen) occurs as oestrogen levels decline has not been identified. This phenomenon can be exacerbated by diet, lack of exercise and a decline of muscle mass. So the fundamental issue is a change in the body's metabolism but a whole lot of factors are feeding into the end result which is weight control issues which hadn't been a problem up until now. Hormone replacement therapy (HRT) is not thought to be a cause of weight gain although this is a common misconception. Research studies suggest women taking HRT experience less weight gain and may retain more muscle mass. Early symptoms associated with commencing HRT such as bloating or increased breast size can be misperceived to be weight gain. These symptoms should settle after a woman has been taking HRT for a while and the dose is adjusted for her individual needs. What can I do about all this? Being aware of what going on is a great start. Knowing you are not going mad and that things that have never been a problem before are now happening to your body and there is an explanation should be reassuring. Do regular aerobic exercise (30 minutes a day as a minimum if possible). Build or maintain your muscle mass you do this by weight bearing exercise like walking or weight training.